1. Solve the problem of rear blind spots of the vehicle. From the rear door to outside, there is an area of about 30 degrees beyond the view field of the mirror. With haloview camera system, the driver can immediately see the situation behind the ambulance and can speed up the response. 2. Solve the problem of blind spots of rearview mirror. 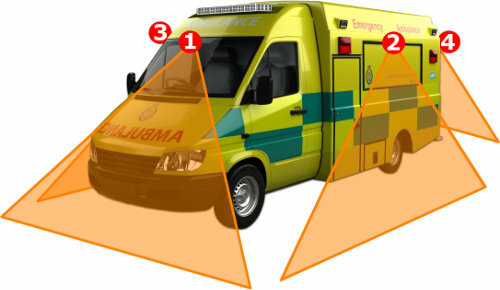 The rearview mirrors on both sides of the ambulance can only see the sides of the vehicle's body, and can not completely see all the situations around, especially from the side road to the main road, the driver can not observe the vehicle from the left rearview mirror, if driver accelerate and with high-angle cut in the innermost lane, it is easy to collide with a vehicle that is moving at a high speed in the innermost lane. But with the haloview MC7101, the driver can easily make it. 3. 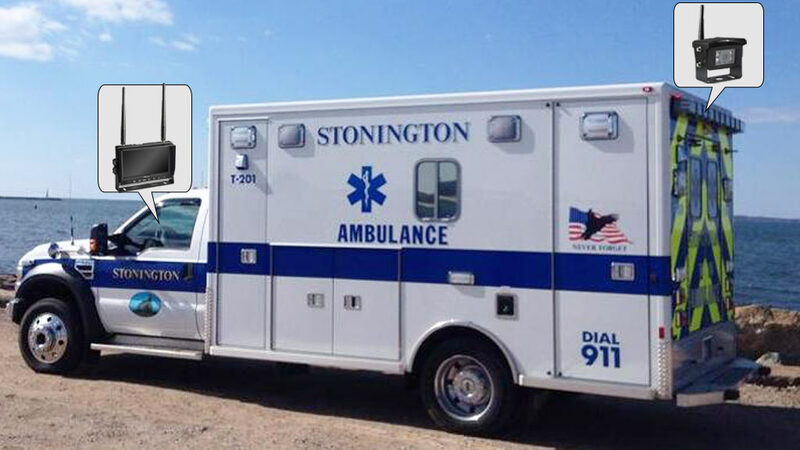 The ambulance must make full use of every minute and cannot afford to hesitate. A unit of backup cameras can help to avoid delay. 4. In heavy rain, foggy weather, and dim light at night, it is difficult to see the rear vehicles. The haloview backup camera system is created to solve the blind area of the rearview mirror.